Millions of fans of the podcast series Serial (including my wife) are checking their podcasting apps daily, hoping that they’ll receive a Thanksgiving present. 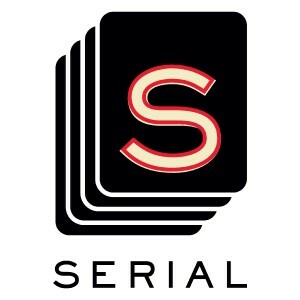 For fans of podcasting, whether they like Serial or not, that’s a wonderful thing. The NPR-produced series, which debuted in October 2014, was a spinoff of the radio program “This American Life.” It investigated the 1999 murder of Hae Min Lee, an 18-year-old student at Baltimore’s Woodlawn High School. Her ex-boyfriend, Adnan Syed, was charged with her murder and given life in prison. Serial became a worldwide phenomenon. It spawned multiple “shows about the show” as well as online recaps and even YouTube parodies. It also became the fastest series to reach five million downloads. The first episode of the second season, which will serialize the case of Bowe Bergdahl, a U.S. soldier who mysteriously vanished from his post in Afghanistan in 2009, is scheduled to be released any day now. Why is this remarkable and why am I writing about it? Because Serial saved podcasting. Back in 2007 when I created the EndGame PR Podcast Production Service, podcasting was still in its infancy. I launched my own show that year, Startup BizCast, and published 86 episodes of small business advice before the program ended its run in 2009. Around that same period, I produced several other series for clients that included the Virginia Community College System, the Richmond Association of REALTORS, and FightSMA. To my knowledge, my firm’s production service is still unique in the Richmond area. I thought podcasting would explode in popularity. By the time I started producing, the concept had already been around for a few years. The shows were free, on demand, and could be enjoyed in the car or wherever listening to radio is an option. I was wrong. Basically, people just didn’t understand how to access podcasts. In 2007 and even 2009, smartphones (the best way to access a podcast) were still a relatively new thing. Even a handful of years later, while people had heard of podcasting, many either didn’t know how to access them or figured they were something for technology geeks. When Serial took off last fall, that all changed. People wanted to figure out how to use the technology, and realized it wasn’t that hard after all. Suddenly, people are realizing how cool it is to be able to access thousands upon thousands of niche programs whenever they please. Corporations and other organizations are starting to take notice again, seeing that podcasting is a great way to get their message out or educate people. I have noticed this anecdotally, by the number of new client series I’ve begun over the last month, after not launching a new one for several years. In the end, all it took was one show to break out for people to recognize the potential of the format. Thank you Serial.